Perfect for your home on the lake!! 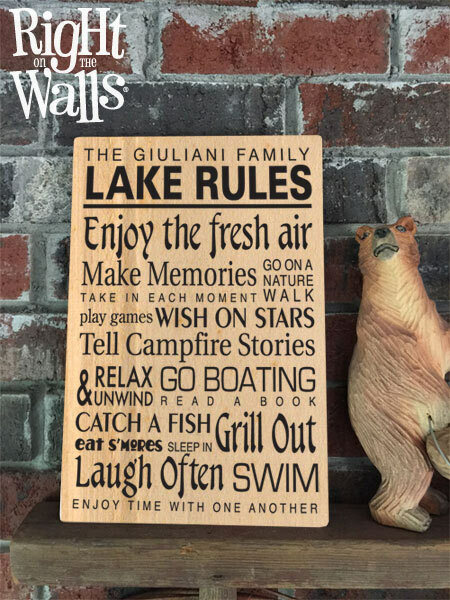 Personalize your family lake house with a fun custom printed "Lake Rules" metal sign. 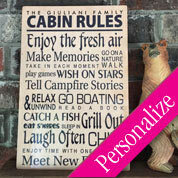 We'll print the sign with your family name or custom text at the top. The sign has a nice parchment colored background with bright black text. 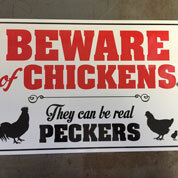 The metal sign measures 12" high x 8" wide with rounded corners and a hole for hanging on the wall at the top and bottom. NOTE: We print your design to a pre-made white metal sign. Seams may appear where sides meet or folds occur. White edges may appear where the dye cannot meet the product during production. This is normal with our handmade process and is not considered an imperfection, but part of the design.